Best Creation Bloghop… | . :My place in the scrappy space:. We are having our First Blog Hop of the new season today and our theme is “Creating Handmade Spring Flowers” On each blog you will find lots of incredible projects and ways to create and use spring flowers that you can make yourself! In order to win our Grand Prize be sure and collect the kinds of flowers made on each blog and send the list to teresa@bestcreation.us. Also be sure and leave comments along your way on each of our DTs. blogs and especially on the Best Creation blog at the end of the hop. Be sure and check out www.bestcreationinc.blogspot.com for the list of prizes you are going to win. Great card and fantastic flower! Love Love Love this flower. Beautiful!!!! Cute Cute Cute! 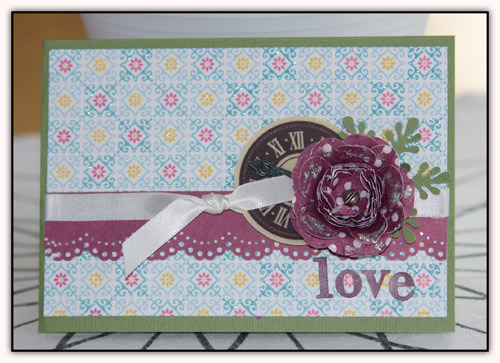 Love your flower and your card is wonderful!! THanks you for sharing your wonderful project and I hope you have a great day! Oh thi sis so fun and cute!! I have that punch too! TFS! Super cool! And easy to make! Your flowers are beautiful and are just right for cards!! Gorgeous! Thanks for sharing with is. I love the wrinkled effect. beautiful flower! can’t wait to give it a go! and your card is lovely! How pretty! I will have to try this! oh these looks so easy, yet gorgeous!!! Will have to try this soon. That flower is amazing. I can’t wait to try my Marvy punch with this technique. love these flowers. Thanks for sharing. This is adorable! Love this flower! Great job Katarina! Great tutorial – easy and beautiful. I think the glittery dot paper makes it! What a beautiful flower. Thanks for sharing how you made it. this is gorgeous. 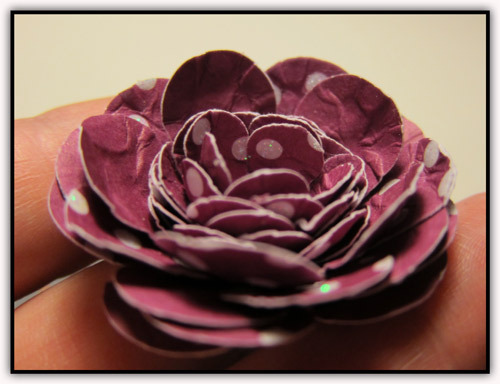 now, I have new wish list for dies and punches because of the blog hop! 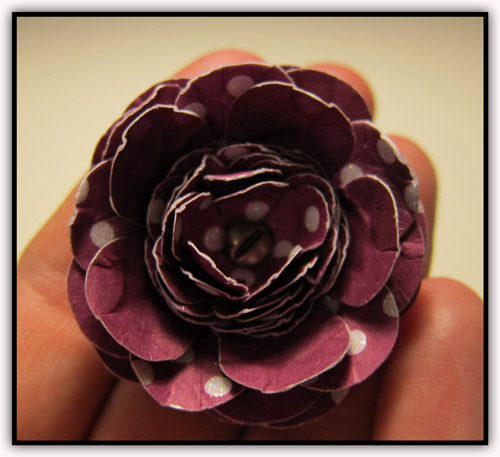 Gorgeous flower – and your tutorial makes it look so easy! How did you think to do this? 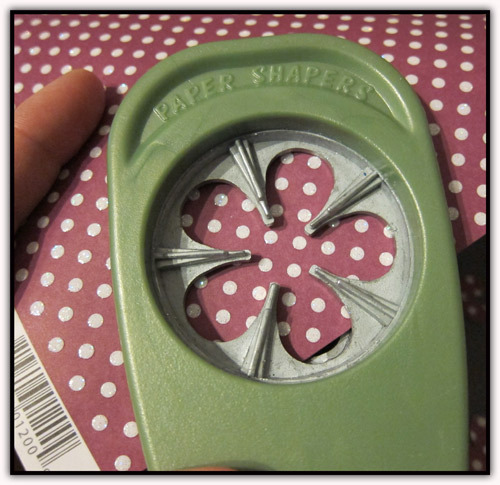 I never know what to do with my flower punches besides just using that single shape. Darling! Off to find a squirt bottle and a paint brush! Fabulous flowers. Thanks for sharing. Another very clever idea, it looks fabulous! Such a beautiful card, Katarina, and the flower is just lovely! Beautiful! Such a stunning flower…. i love how the layers gather up! thanks for sharing!! I totally adore your flowers and the technique!!! I’ll be making these for sure sometime very soon!!! Love the layers in this adorable little flower!! 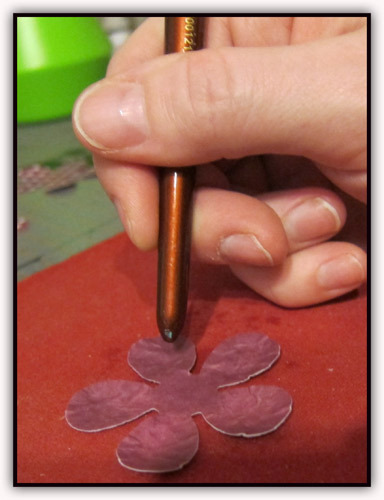 I have made flowers similar to this but I have not used the back of a paint brush or embossing tool, to give the flower some depth. I guess I will have to do mine over I like yours much better. hej tjejen! jag har “lånat” inspiration av dig och länkat från min blogg till dig…bara så du vet;) kram – och STORT GRATTIS till DT platsen hos The Nook! Så fint kort, och blomman är underbar! Tusen tack för beskrivningen, den sparar jag! Stor kram, och trevlig helg!